A new working paper from academics at Rice University and the University of Chicago finds that ride-hailing services correlate to a rise in traffic fatalities among passengers and pedestrians. 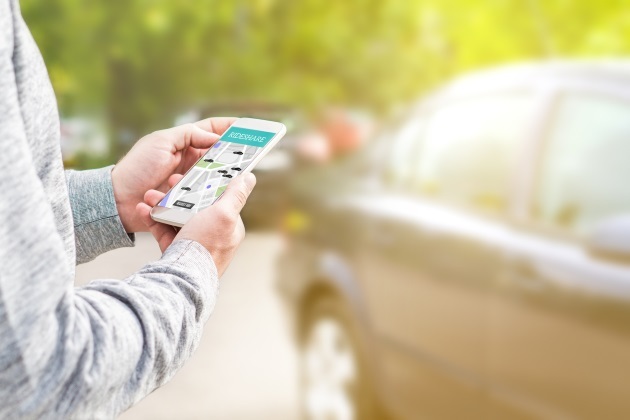 "The increase in accidents appears to persist (and even increase) over time," write Livia Hanyi Yi and Yael V. Hochberg of Rice University and John M. Barrios at the University of Chicago in "The Cost of Convenience: Ridesharing and Traffic Fatalities." In the context of a $20 trillion U.S. economy, "Back-of-the-envelope estimates of the annual cost in human lives range from $5.33 billion to $13.24 billion per year." "Using the staggered introduction of ridesharing services across U.S. cities, we show that the advent of ridesharing in a metropolitan area leads to an economically meaningful increase in motor vehicle fatalities," according to the paper. "This increase is consistent with acknowledged macro trends in motor vehicle accidents, which had been falling steeply in the U.S. over the period 1985 to 2010 when ridesharing first launched, and have since reversed course and increased." The researchers in part employ an empirical analysis and welcome feedback on their preliminary findings. Uber, a leading ride-hailing firm, disputed the academics’ finding on the correlation of ride-hailing and traffic fatalities. "Our data science team reviewed this report and found it to be flawed," according to a company statement. "Uber has contributed to safety in many ways and we take our responsibility to help keep people safe seriously. That’s why we’ve rolled out features to reduce the risk of drowsy driving and notify drivers of their speed on the road and will continue to do more." Rural areas with scant ride-hailing services experienced bigger rises in car crashes versus cities where firms such as Lyft and Uber operate, according to Joe Cortright, president and principal economist with Impresa, a Portland consulting firm. He partly proposes investigating the "effect of lower gas prices and increased driving on crash rates." Steven Hill, a tech journalist and author of "Raw Deal: How the Uber Economy and Runaway Capitalism Are Screwing American Workers," is less skeptical than Cortright about the preliminary findings of the new working paper on ride-hailing and traffic fatalities. "The more miles being driven by vehicles on the road, the more accidents will increase," he told MultiBriefs. "There are so many of these vehicles on the road — five times as many as traditional taxis in both San Francisco and New York City — that there is more traffic, more congestion, more miles being driven, and therefore more accidents." In other words, the increased supply of vehicles in and of itself is a major factor in the correlation between ride-hailing firms and car crashes, according to Hill. Lyft did not reply to a request for comment. The working paper ends with a call "for further research and debate about the overall cost-benefit tradeoff of ridesharing services and further mechanisms to increase the benefits or reduce the costs." The stakes are high. Stay tuned.